Studio BV have designed the Field Nation offices in Minneapolis, Minnesota, that were inspired by the design and connectivity of a circuit board. The Field Nation platform is all about connecting people to opportunities and empowering their success, and the space is a metaphor for the product they produce, serving as a platform of connection and collaboration. The circuit board is an iconic representation of a technological network, and its etched paths serve to connect and move electricity as it’s needed to run a given device. 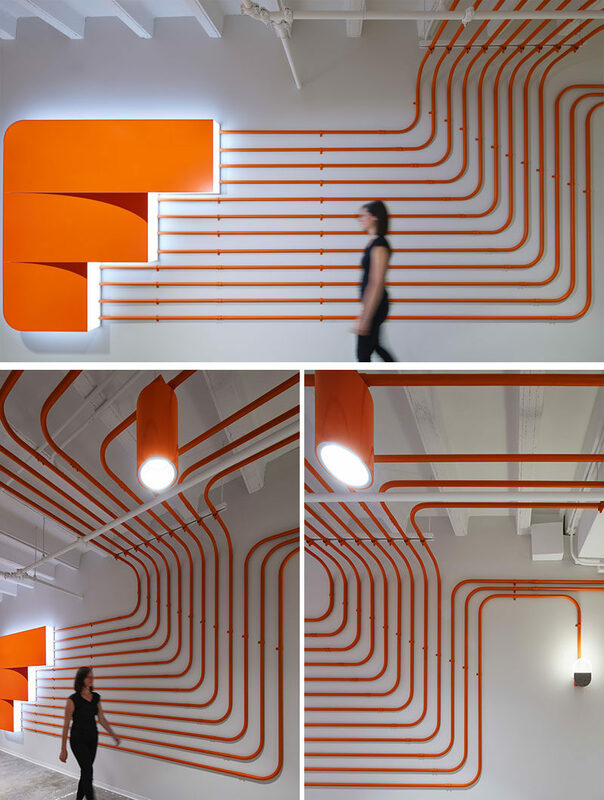 To represent the paths found on circuit boards, the designers used orange conduit piping throughout the office interior. 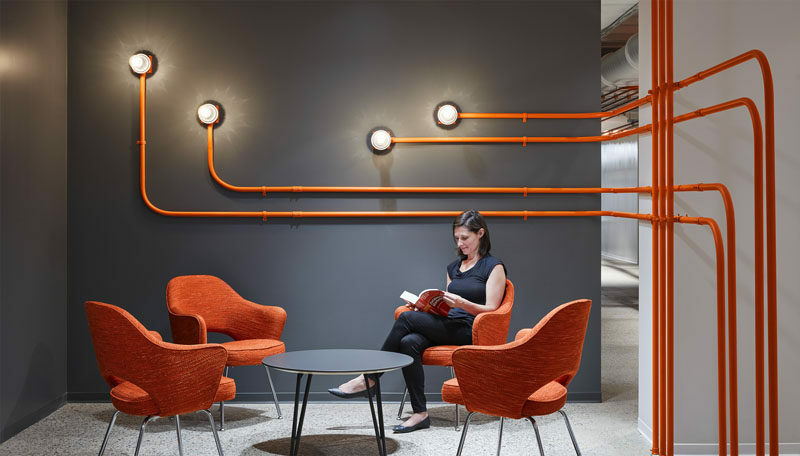 The conduit pipes lead people around the office, and at the end of the pipes, various types of lighting can be found, like in this open meeting space. 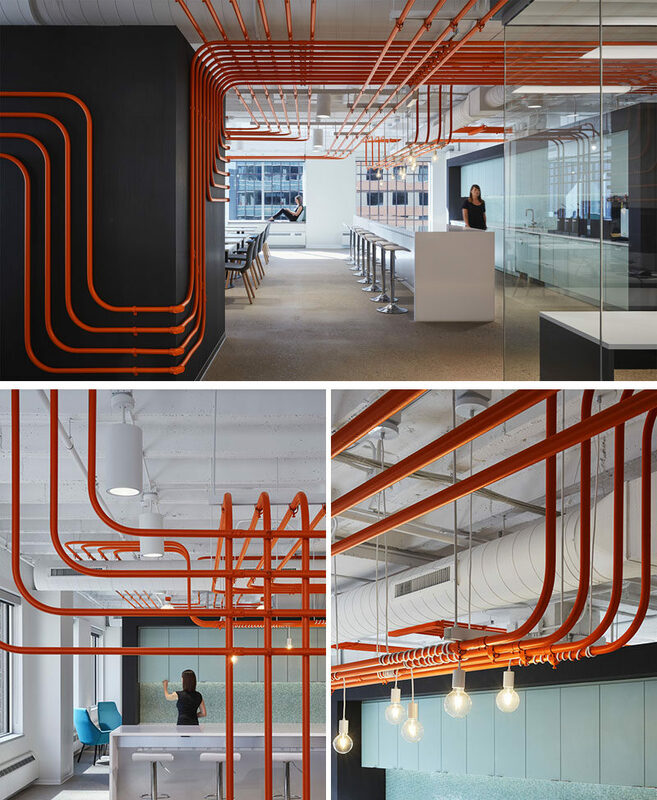 The orange pipes connect the various work areas and also add a pop of color to the mostly white and grey interior. 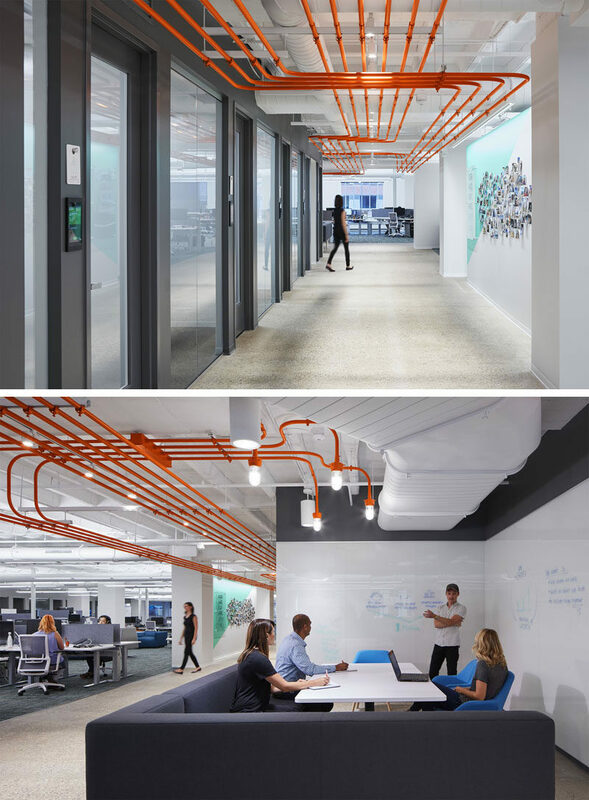 The pipes not only line the ceiling, but also wrap around walls and act as dividers between seating. From this angle, you can see that the conduit pipes also run along the ceiling at different levels, overlapping each other.